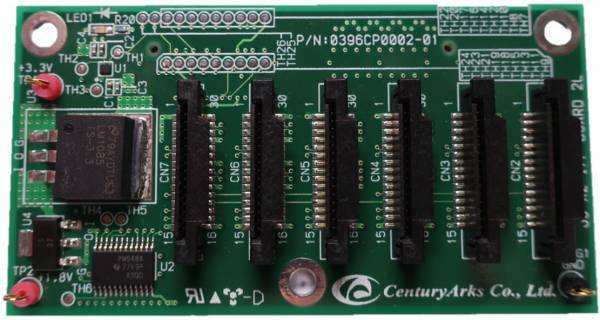 Product information "I/F Board for Jetson TX1/TX2 evaluation"
This kit includes an interface board for the NVIDIA Jetson TX1/TX2 developer kits with a 160mm flex cable that allows the CA378-AOIS module to be connected directly to the Jetson TX1/TX2 (not included). The interface board is connected to the Jetson TX1/TX2 board through its Camera Expansion Header. Also included in this kit are spacers and screws that allows the interface board to be mounted directly to the Jetson TX1/TX2 developer board. Related links to "I/F Board for Jetson TX1/TX2 evaluation"
Product Details "I/F Board for Jetson TX1/TX2 evaluation"